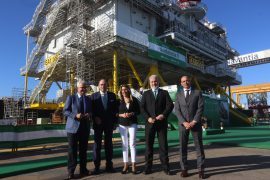 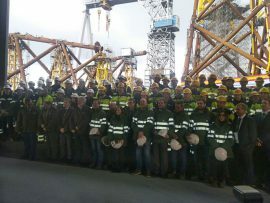 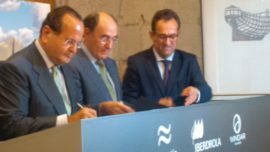 Iberdrola and Navantia have held the delivery ceremony for the first four jacket foundations built for the 714MW East Anglia One wind farm in the Navantia shipyard in Fene, Spain. 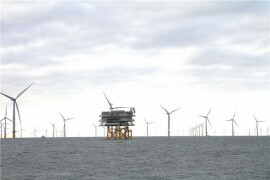 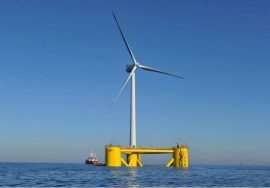 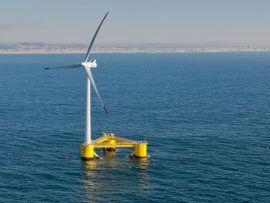 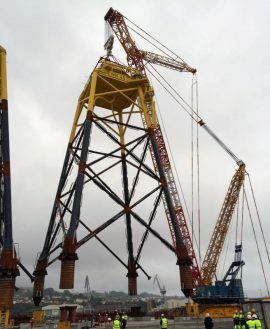 Navantia has assembled the first of forty-two jacket foundations for the 714MW East Anglia ONE offshore wind farm at its facilities in Fene, Spain. 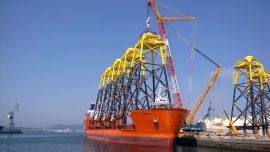 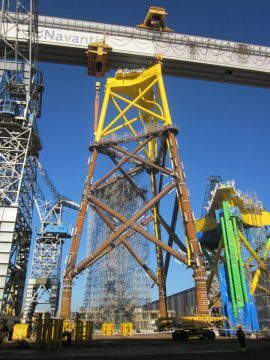 Spain’s Navantia-Windar consortium has loaded the first two out of four jacket foundations built for the 28MW Nissum Bredning demonstration offshore wind project at Navantia’s facility in Fene. 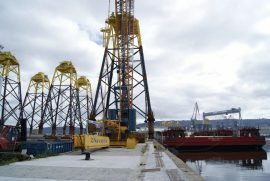 The first of forty-two transition pieces to be built by Navantia for Iberdrola’s 714MW East Anglia ONE offshore wind farm is ready for a paint job. 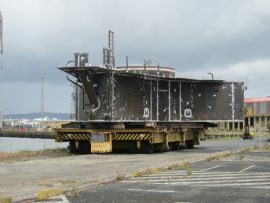 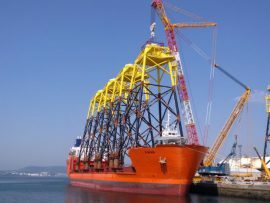 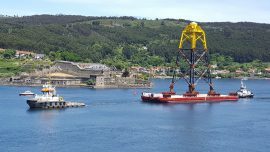 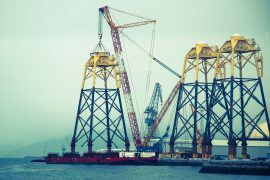 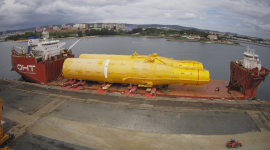 The Navantia-Windar consortium has loaded out the first two of the five SPAR-type floating foundations built for Statoil’s 30MW Hywind Scotland floating wind farm. 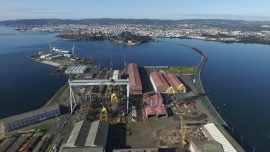 Navantia marked the start of construction of the East Anglia ONE offshore substation by cutting the first steel at the Puerto Real shipyard at 11:00 a.m. on 21 March. 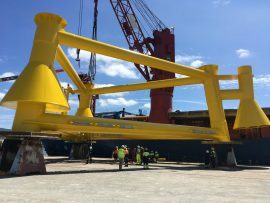 Euskalforging has signed a contract to supply flanges for 42 foundations which will support wind turbines at the East Anglia ONE offshore wind farm. 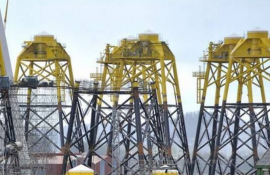 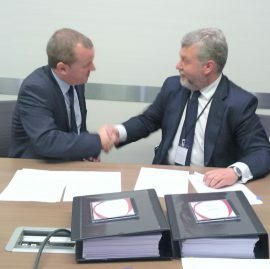 Today (25 November), Navantia reported that it signed a contract for 42 East Anglia One jacket foundations, eight more than the initial number of foundations it was supposed to build, thus solving the equation that emerged after Lamprell announced it will build 60 jackets for the 102-turbine project. 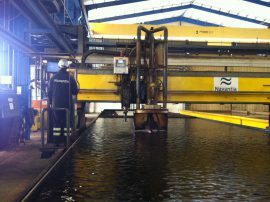 Navantia & Windar Win East Anglia ONE Foundations Contract? 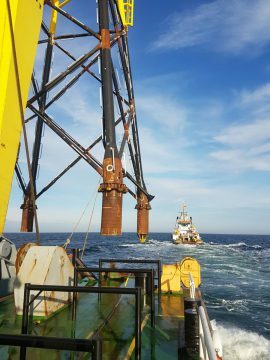 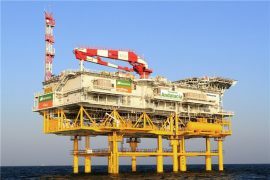 Navantia has delivered the first jacket foundations to Iberdrola for its Wikinger offshore wind farm located in the German part of the Baltic Sea.